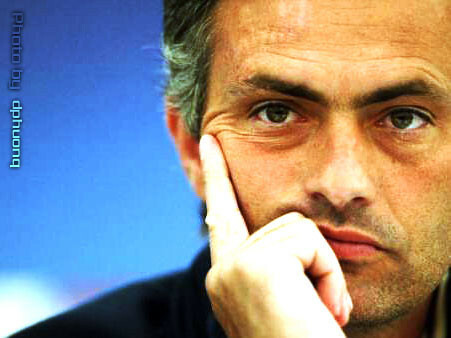 Inter manager Jose Mourinho has more potential suitors then Jon Terry and Tiger Woods combined. Well not those type of suitors, but the title winning coach will likely be the most talked about coach come this June. Mourinho has a contract clause that allows him to leave the defending champs this summer if he wants to and most reports claim that Mourinho will likely take advantage of the opportunity to go elsewhere. And where should a coach that has already won championships in Portugal, England, and Italy go? Well to Spain of course. Apparently Real Madrid is considering bringing in the man with the Midas touch next year to further assure a chance of giving Barca a run for their money and right now Mourinho is the guy on the top of each powerhouse club’s list. The coach has already been linked with a potential move back to the Premier League this summer, but if Real can lure the coach over to Spain then that means that los galicticos may have just been granted the best move they have made yet since Florentino Perez took back over the reigns last summer. Apparently current manager Manuel Pellegrini is on the hot seat despite leading his club to second place results and just two points behind Barca, but the organization must be disappointed with los galicticos recent Champions League form against Lyon in a 1-0 loss. However Mourinho will likely squash these rumors until the end of the year in order to help his current side, but entertaining the idea of leaving a returning champ is never a good sign for any organization. Mourinho may not end up going anywhere, but with many big squads salavating for the manager expect a coach to maybe end up being the biggest move of the off-season.